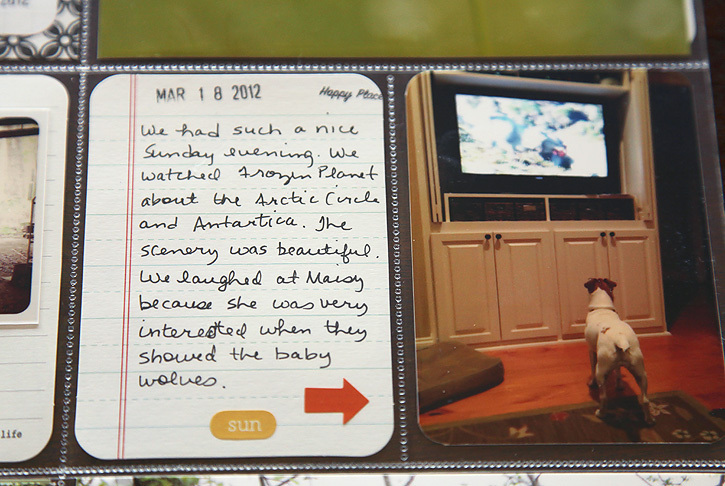 Great pages Deb - love the photo of Maisy. We have a labrador who gets very excited when there are any animals on the TV! Beautiful pages! Loving how are are including instagram photos. Thanks for sharing! I love all your activities Deb. I see the boys in their conversation & I envision them as adults doing he same thing- only talking about parenting & house maintenance & stuff bothers share. What great young men you are raising. these are great! I really admire you for creating these beautiful layouts and sticking with it. great pages!! Love all your beautiful pictures! These look great! Our dogs used to watch tv just life Maisy! When the doorbell rang on tv was the best, they's go yipping to the door! That's too funny about the dog and the baby wolves on TV. Our dog was very interested in Lady and the Tramp when we had it playing the other day--too many dog noises. I really love the old tractor too and the picture of the boys with the dirt bike in the woods. Looks like a great place to ride. 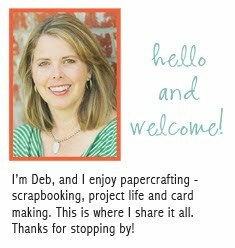 Deb, did you see the intro to Becky Higgins' new plastic products yesterday? I love the two Instragram sleeves and can't wait to add them into my weekly layouts! 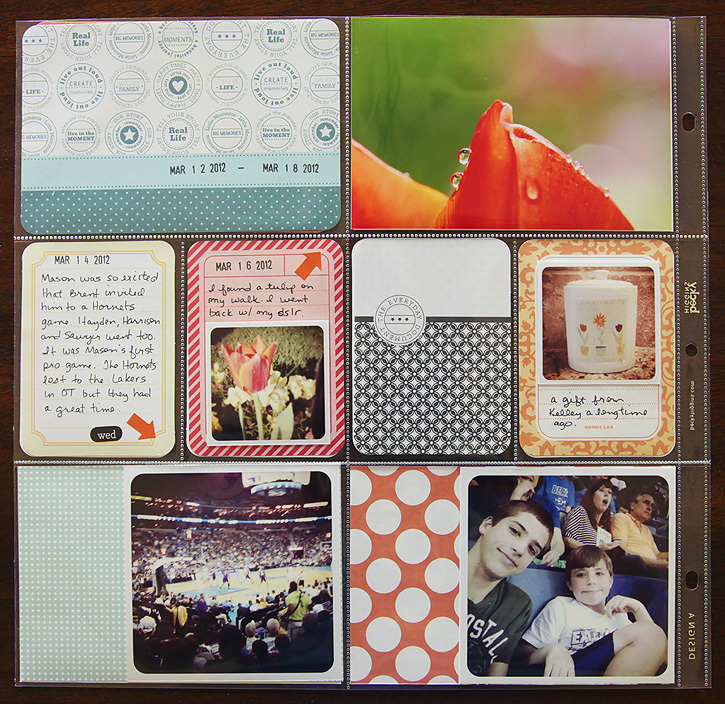 Do you use a lot of extra inserts in your album? I did see them and I really love the instagram ones and the 5x7 and 8x10! They will be great for weeks when I have extra photos. I haven't used a lot of inserts in the past. Mainly I add one for big holidays and vacations. I will probably use the instagram ones a little more regularly. LOVE the fresh look of your pages...they are great! Wonderful pages for you to look back on in years to come. That looks like a great place to have a picnic. Gorgeous spring photos! I got the idea to do 4x4 pictures and I love it! So thanks for that! ;-) Lovely pages as usual. I really do love that you share your Project Life with us. You do such a fantastic job. Your dog cracks me up!!! 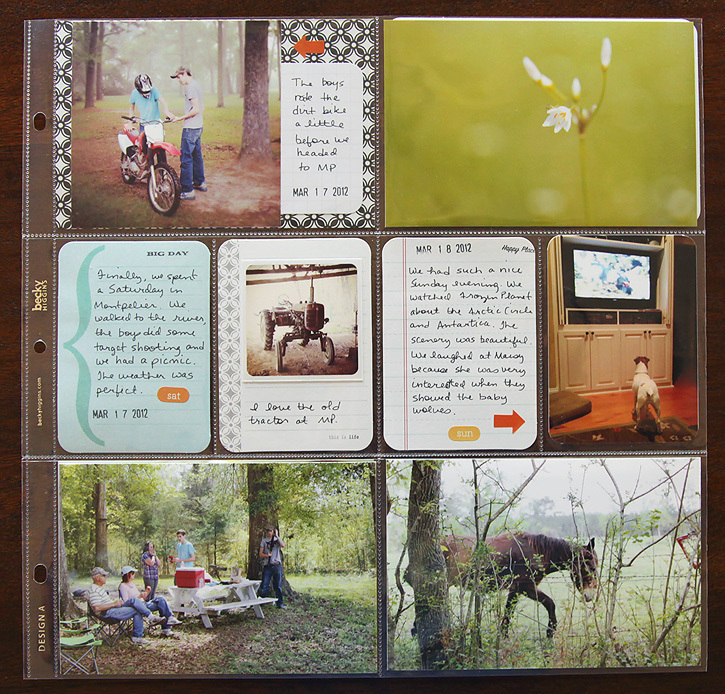 This project is a wonderful way of saving your memories. Oh, loving the flower detail shot! I wish I had done this years ago - I've forgotten so much. You've got beautiful memories here Deb. 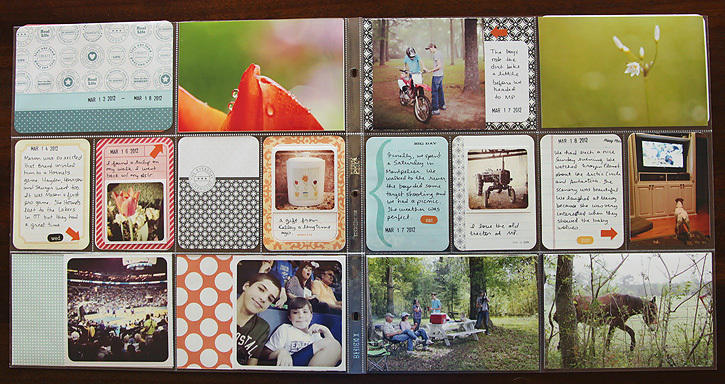 wonderful pages, how do you take the photos without the glare from the pocket protectors? I take the photos without a flash near a window in good natural light but not in the direct light. Hope that helps!